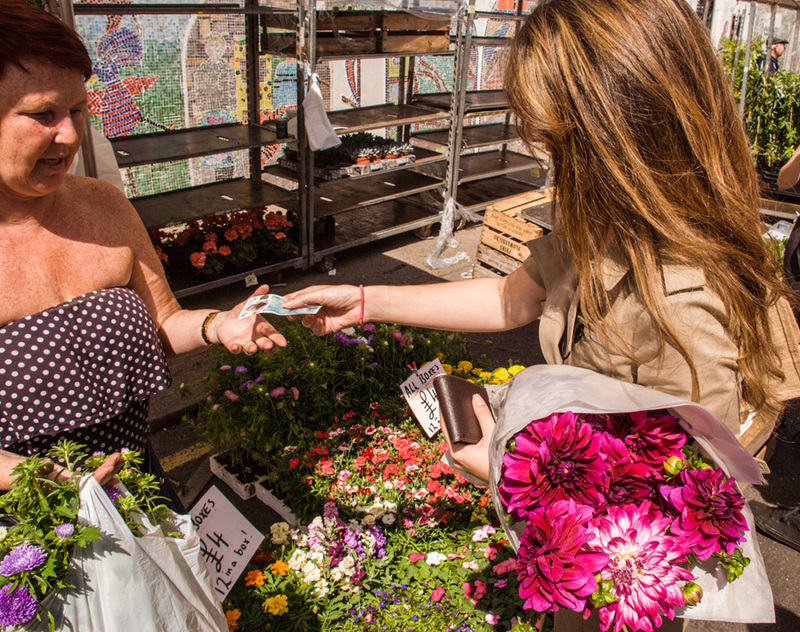 Every Sunday while most of the city is tucked up in bed (except for a few die-hard glowstick ravers) traders begin transforming a Bethnal Green street into Columbia Road Flower Market. 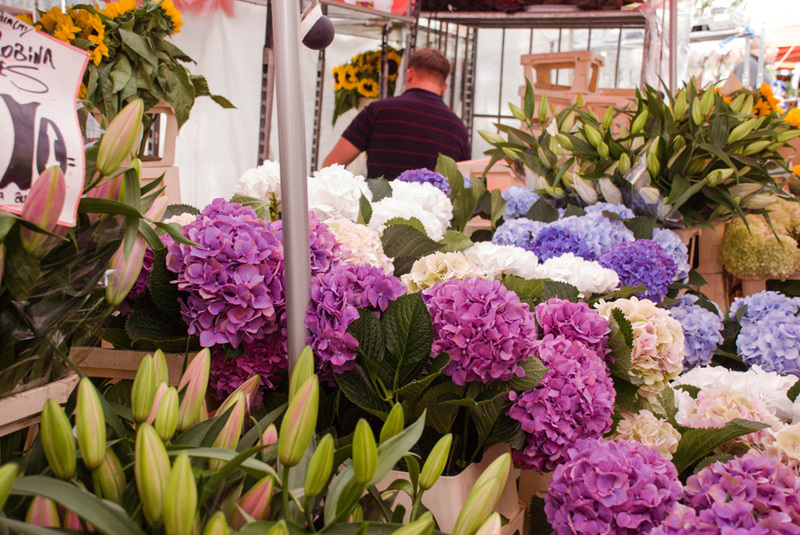 At about 4am, the traders set up their stalls with an abundance of in-season cut flowers, plants, trees, shrubs and bulbs. 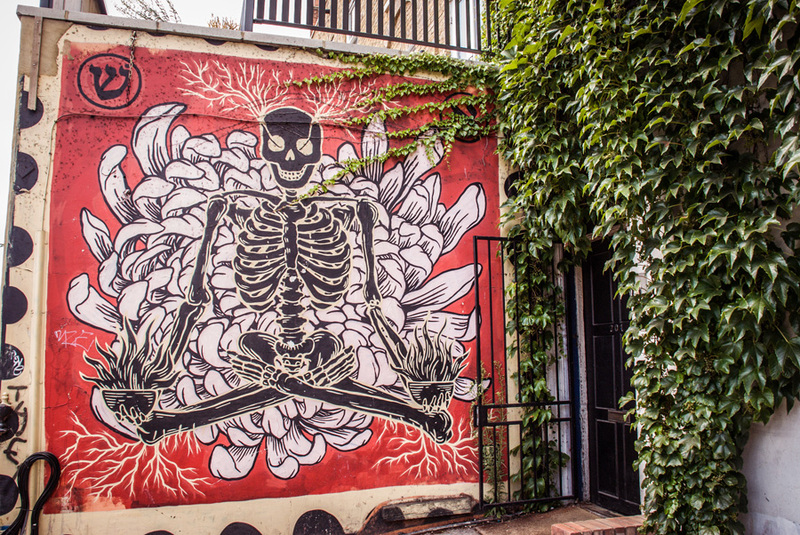 It’s the perfect place to while away a Sunday morning amongst the easy-going bustle; with great coffee from independent cafés, street art to discover and of course, the promise of leaving with armfuls of beautiful blooms to fill your home! 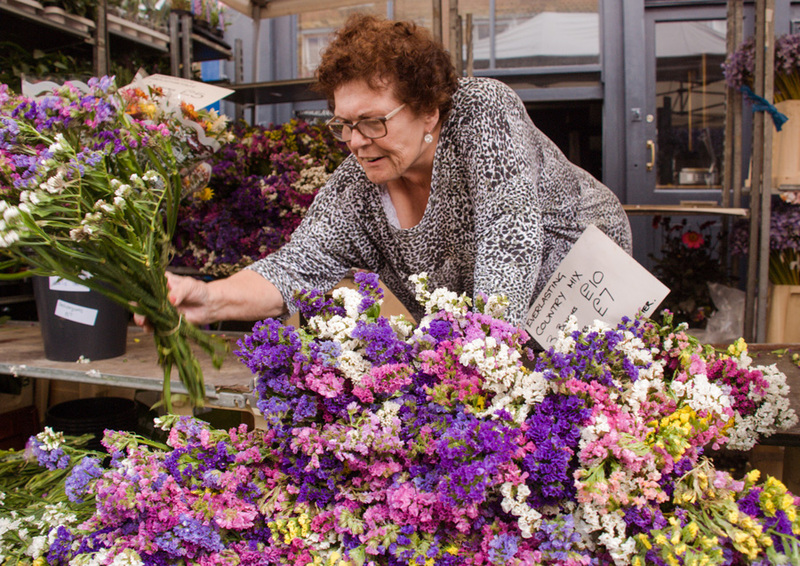 Frequented by locals and tourists alike, Columbia Road Flower Market is home to sellers who have been in the business for generations, learning the ropes from their parents when they were children. 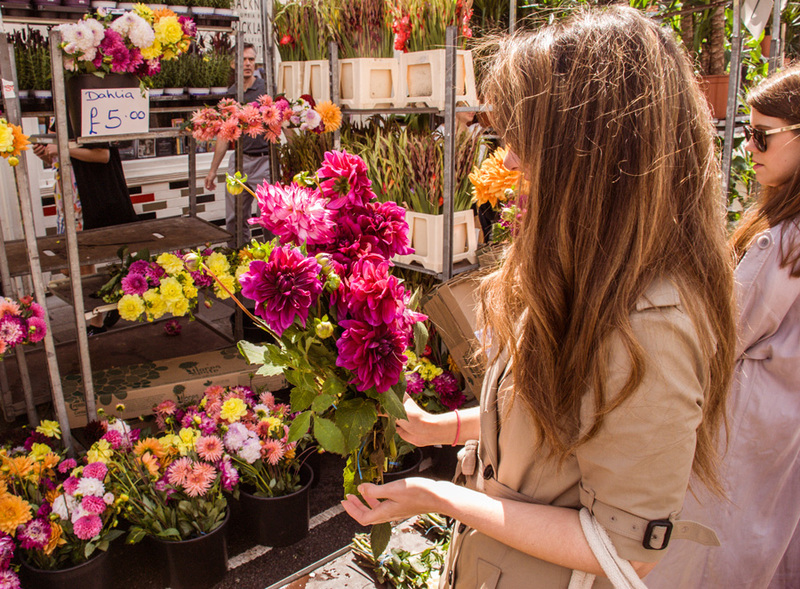 There’s something for everyone with seasonal finds like daffodils, tulips and sunflowers alongside roses and giant hydrangeas. 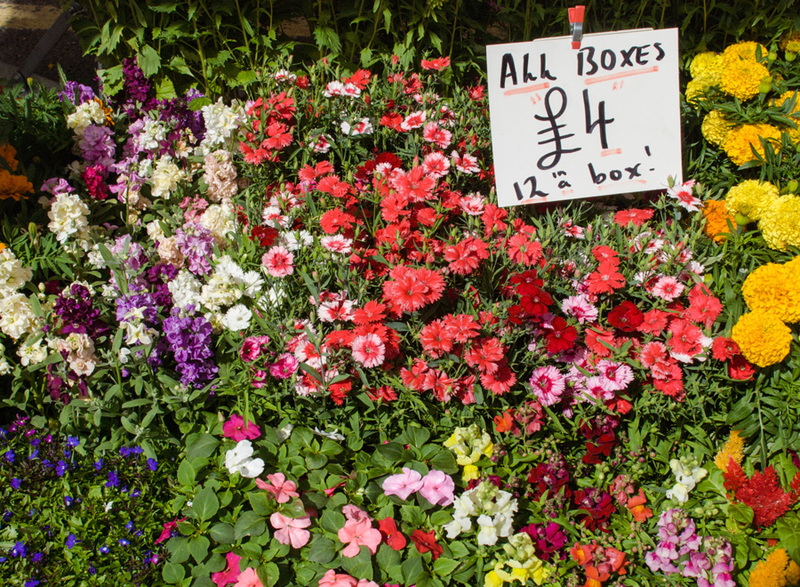 For the more green fingered, there are plants and bulbs galore that you can nurture in your own garden. 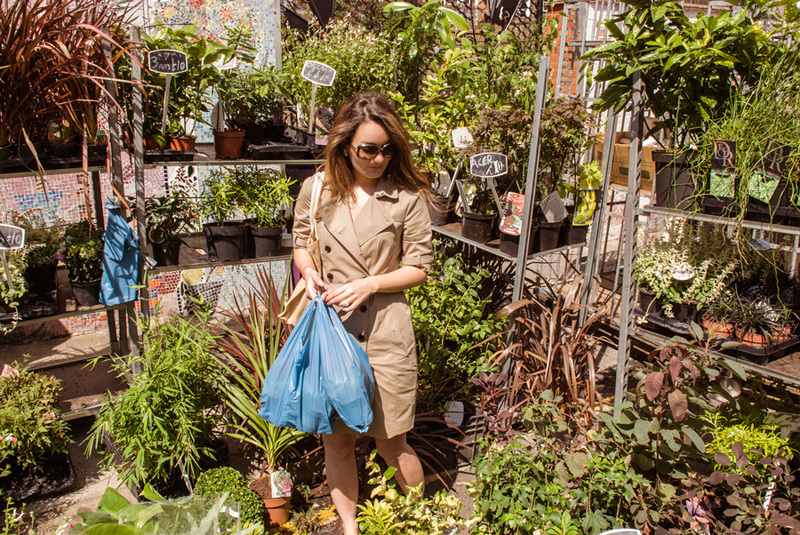 I’ve bought many plants from the market and almost all of them survive as London is generally quite sheltered. For a few pounds a plant, it’s worth a shot! If you’re travelling further afield, bulbs are easy to transport and a great momento from your visit! 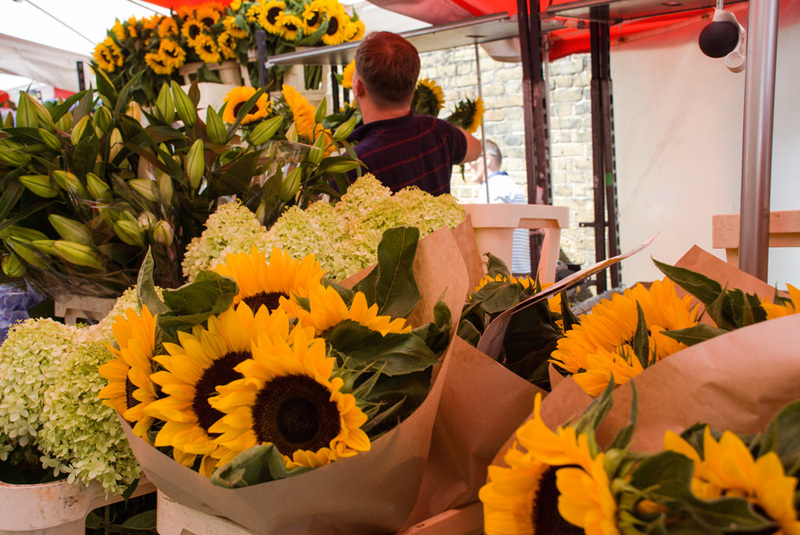 Columbia Road Flower Market is open every Sunday come rain or shine, from around 8am until 2pm. These are the official timings but in the cooler months you’ll find people still setting up at 8am, and all year round the market is often open until 3pm. 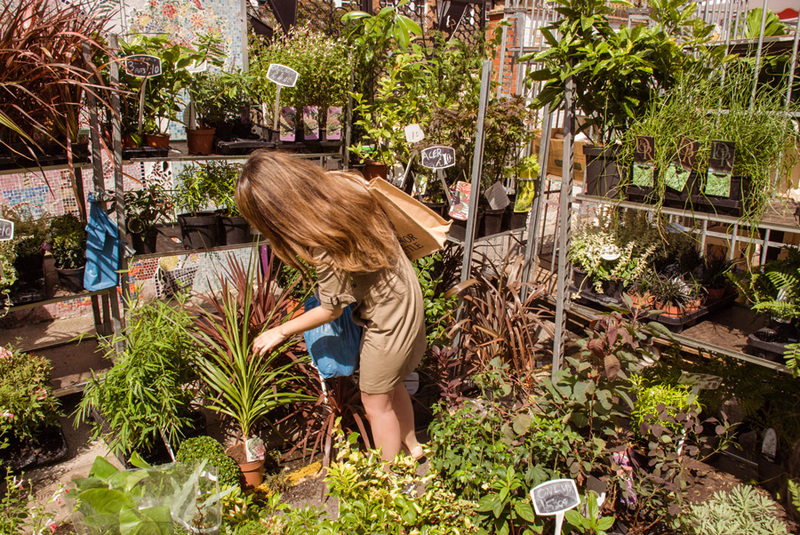 If you get there early, you’ll have your pick of the plants and it will be less crowded. After around 10am, it’s peak time meaning a packed street and lots of friendly hustle and bustle. After 2pm, traders will start packing up and many offer discounts on their stock to clear it. You might even make some new friends along the way! This delightful lady came in for a cuddle when she saw my Mr. snapping away ? Grab a coffee from one of the great cafés lining Columbia Road or Ezra Street. If you’re clumsy like me and prefer not to walk through a crowd with a boiling hot beverage, then stop to enjoy the buskers just before the market starts. Peak times might not be fun for little kids or dogs unless you’re happy carrying them, in which case, they’ll have the best view! It’s quite a crush around midday. 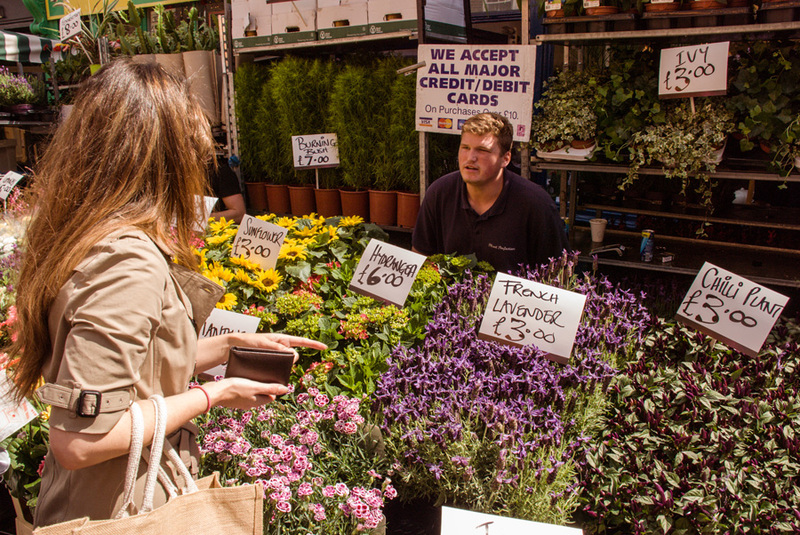 Listen out for the pitch patter – what the traders call out to attract people to their stalls. They shout everything from prices: “Everythin’ a fiver’ to safety tips with the odd comedian thrown in for good measure. 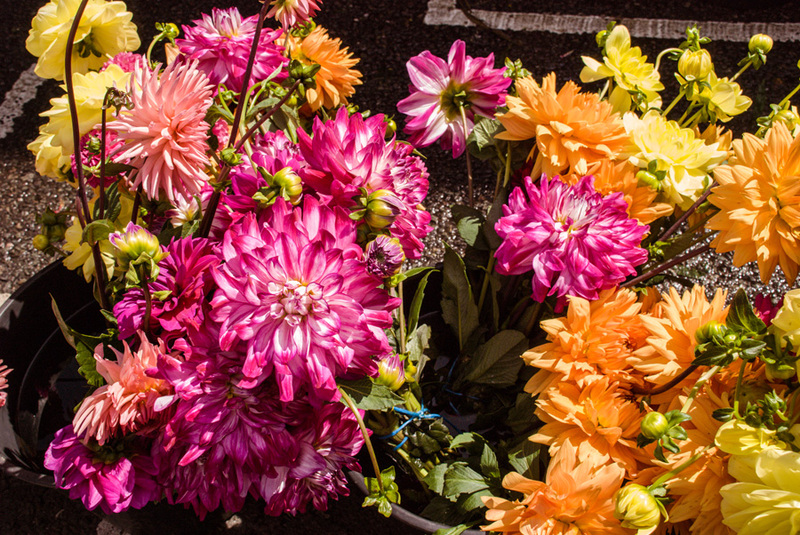 If you’re driving over (car boot = more flowers! ), program your sat nav to E2 7NX and then look for a parking spot. 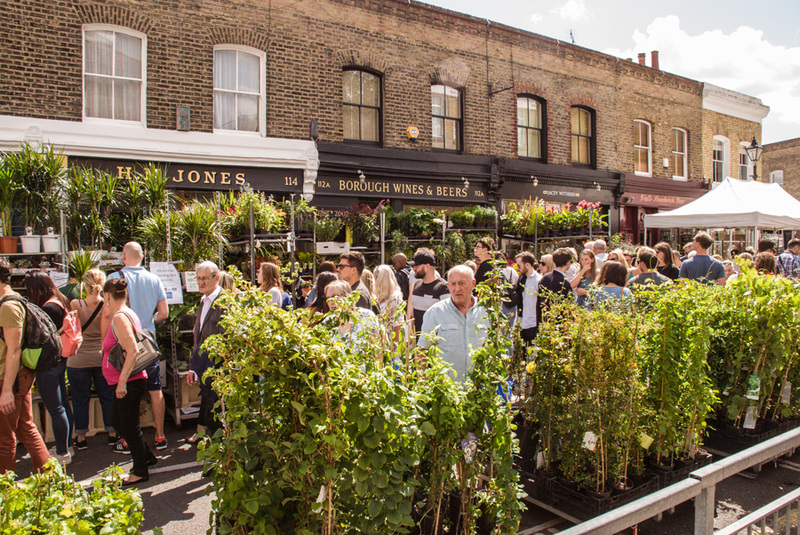 There’s free parking on Hackney Road or pay by the hour parking at the end of Columbia Road. You don’t need change for the parking meter as you can pay by phone or app – details of which are signposted. We always manage to find a parking spot after a couple of loops. Don’t try and drive up Columbia road like we did once..! You WILL end up doing a 50-point turn to get out again, surrounded by hungover hipsters cheering you on while you try not to run over the toes of people draped on the pavement. Not fun!! If you prefer to take public transport, Hoxton and Cambridge Heath overground stations, and Bethnal Green underground are all within 10-15 minutes walk (or a 5 minute uber!). Don’t forget to take cash! Some of the market sellers now accept credit and debit cards on transactions over a certain amount (usually £10), but mostly it’s cash only. 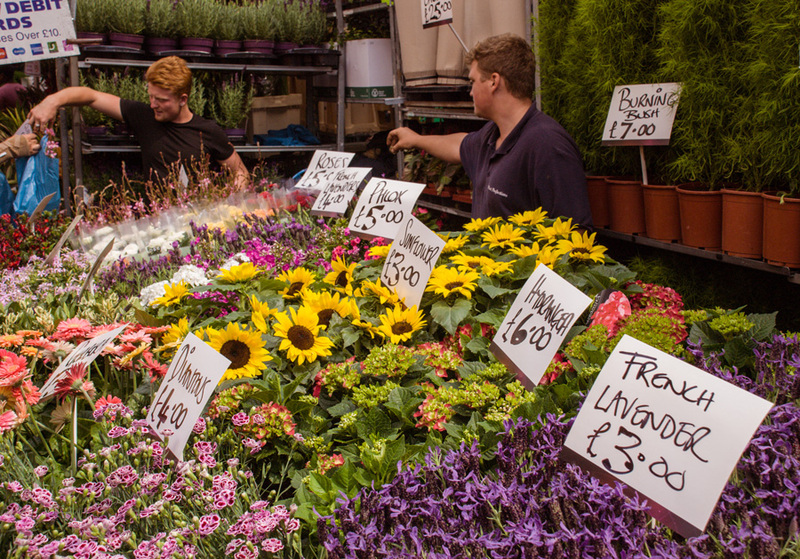 To give you an idea of prices, you can get a beautiful bunch of flowers for £5, and an armful for £20. 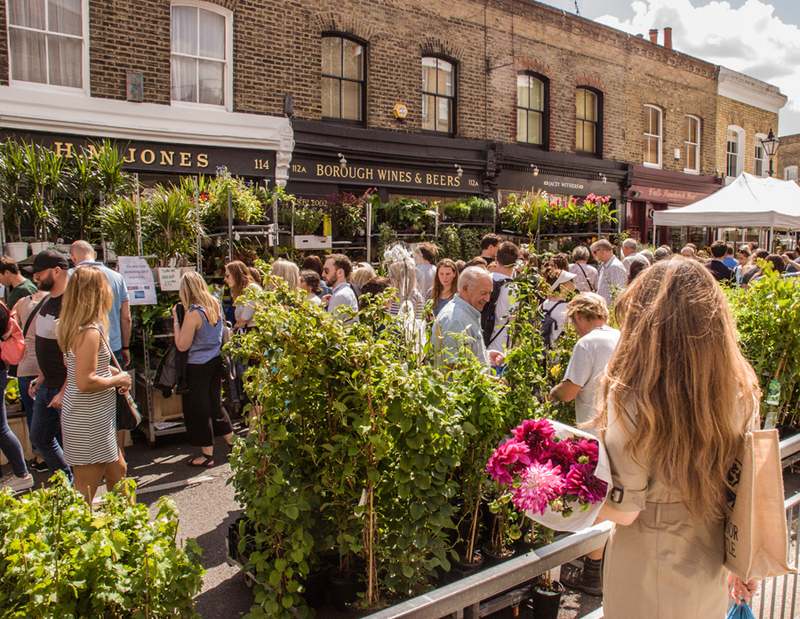 Columbia Road started out as a route to Smithfield market where sheep were led to meet their fate at the slaughterhouses. By the mid 1800s, the area was a renown slum. With the lack of transport links or railways into the area, getting fresh produce wasn’t easy for the local residents. Then along came Baroness Angela Burdett-Coutts, a philanthropist and the “richest heiress in England”. She wanted to bring about change that would outlast her, and was a pioneer in social housing, co-founded the NSPCC, financed a sewing school for women in Spitalfields, was closely involved with the RSPCA and …er… was president of the British Goat Society among other things! 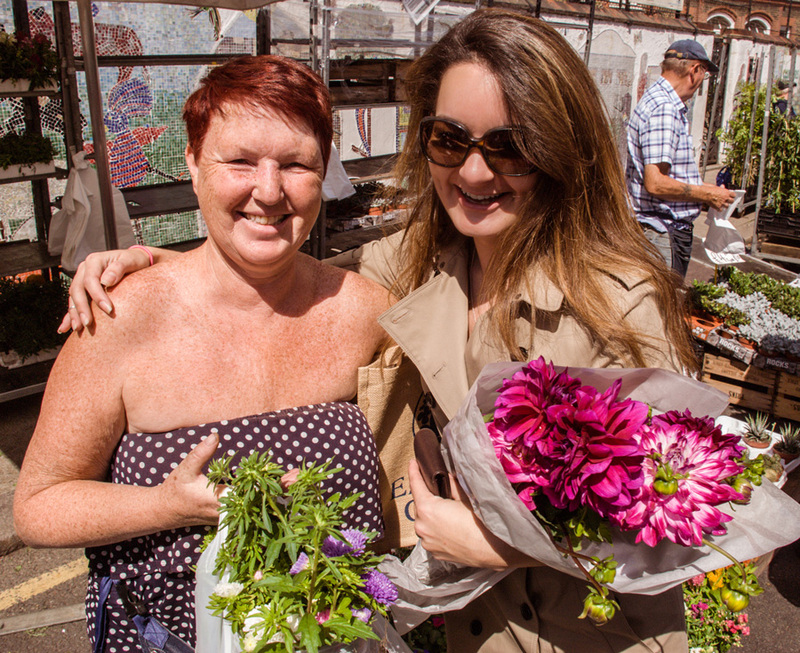 She purchased the land and donated £20,000 to build Columbia Market as a covered food market with 400 stalls. Angela’s husband came to own the market and had a fishing fleet in the North Sea. The plan was to build a railway line to deliver fish to the market, but competition from Billingsgate Fish Market meant that this never happened. In addition to that, the traders preferred selling outdoors, and so in 1886 the market closed and the building was used for storage and workshops. The building was sadly demolished in 1958 and replaced with a housing estate. 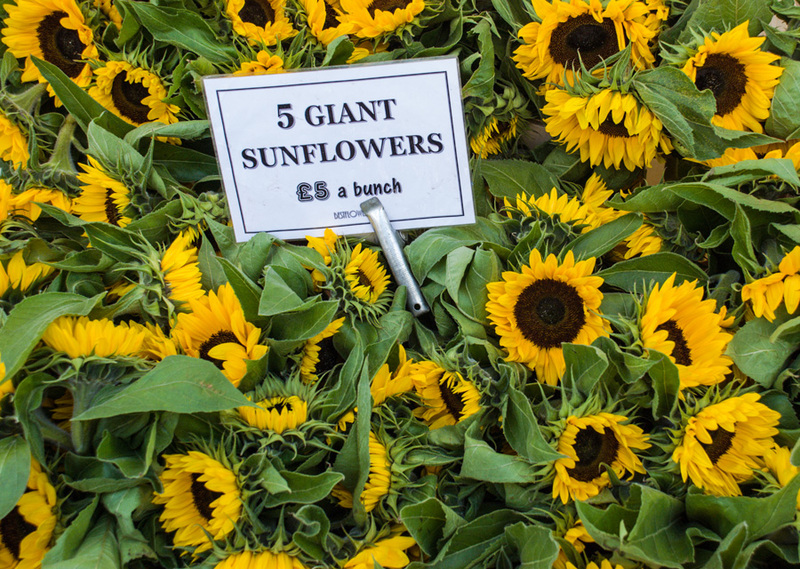 Columbia Road Flower Market began trading on Saturdays but this was switched to Sunday by an Act of Parliament as Jewish traders didn’t work on the Sabbath (Friday sundown to Saturday sundown). There’s a great selection of independent eateries nearby selling fish and chips, tacos or traditional pub fare. 10 minutes walk away on Brick Lane you could be spoiled for choice with fabulous curry houses or 5 minutes further on than that is Spitalfields Market with a wide array of well known restaurants as well as independent stalls.